MANILA - Prime Minister Lee Hsien Loong said on Saturday (April 29) that he plans to make bigger changes to his team next year, and put new ministers in charge of some ministries. His comments follow the latest round of Cabinet changes, which saw Mrs Josephine Teo and Mr Desmond Lee promoted to full ministers in the Prime Minister's Office (PMO). Speaking to Singapore reporters at the Asean Summit in Manila, PM Lee said: "This one is not a full set of changes, I expect to do a much bigger change next year... there will be more changes by that time and more new ministers will be helming their own ministries." Asked to comment on the Cabinet changes announced on Thursday, Mr Lee said he had promoted the ministers because they deserved it. "They've shown that they are capable of more responsibilities. They have done good work and I expect them to do even more," he added. Besides Mrs Teo and Mr Desmond Lee, four ministers of state will also be promoted to senior ministers of state: Dr Lam Pin Min, Dr Janil Puthucheary, Dr Koh Poh Koon and Mr Chee Hong Tat. They will continue in their current ministries. Dr Lam will also be appointed Senior Minister of State for Transport. The PMO had said that the changes, which take effect on Monday (May 1), are part of leadership renewal. Besides their portfolios in the PMO, Mrs Teo will also be Second Minister for Manpower and Foreign Affairs, while Mr Lee will be Second Minister in his present ministries of Home Affairs and National Development. 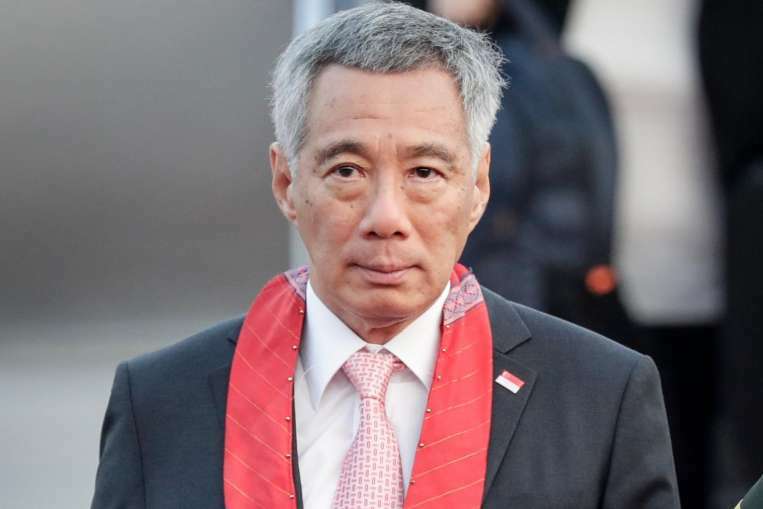 PM Lee said he had assigned Mrs Teo to the Ministry of Manpower (MOM) to shadow Manpower Minister Lim Swee Say. "They've worked together for a long time so I think that should work well," he said. Observers saw Mrs Teo's move as a sign that she may be groomed to be the next manpower minister, especially given her past experience working in the labour movement. As for Mr Desmond Lee, who at 40 will be one of the youngest full ministers in recent years, PM Lee quipped: "I've left him at (MHA and MND) and I'm sure his ministers, knowing that he is a minister, will give him more work to do." In other changes announced on Thursday, parliamentary secretaries Low Yen Ling and Faishal Ibrahim will be promoted to senior parliamentary secretaries in their current ministries: Trade and Industry, and Education for Ms Low, and Education and Social and Family Development for Dr Faishal. Minister of State Sam Tan will take on the foreign affairs portfolio, in addition to his current ones in MOM and the PMO, while Parliamentary Secretary for Home Affairs Amrin Amin will take on an additional post in the Health Ministry. Minister of State for Manpower Teo Ser Luck asked to step down from office on June 30 and return to the private sector. His term as mayor of North East District ends on May 26, but he will still be an MP for Pasir Ris-Punggol GRC. Tampines GRC MP Desmond Choo will replace him as mayor. The four other mayors - Dr Mohamad Maliki Osman, Dr Teo Ho Pin, Ms Denise Phua and Ms Low - will be reappointed on May 27.